ASP.NET provides many options for storing, retrieving, and displaying data. For developers who are new to ASP.NET, the appropriate options are not always obvious. This topic provides recommendations and guidelines for choosing the options that best fit your scenario. This topic focuses on relational databases. For many scenarios, a NoSQL solution might be a better choice. For more information, see Data Storage Options (Building Real-World Cloud Apps with Windows Azure). For additional resources related to data access in ASP.NET web applications, see also ASP.NET Data Access – Recommended Resources on the ASP.NET site. For information about how to choose data access options for ASP.NET Web Forms, such as data-bound controls, data-binding methods, and Dynamic Data scaffolding, see ASP.NET Web Forms Data Access Options. Microsoft Access is not recommended for web applications. For more information, see Can my ASP.NET web application use a Microsoft Access database? in ASP.NET Data Access FAQ. You can also get data providers from third-party software vendors. Some popular relational databases that you can get data providers for include MySQL, SQLite, Oracle, and DB2. For information about data providers that are available, see .NET Framework Data Providers and ADO.NET Data Providers. SQL Server is supported by Microsoft. SQL Server is integrated with other Microsoft data access technologies such as the Entity Framework. See Object-Relational Mappers later in this topic. Visual Studio provides built-in tools for working with SQL Server. SQL Server Data Tools (SSDT), enables you to create databases, manipulate schema and data, generate and run scripts, debug, and deploy databases and database updates. Visual Studio includes web deployment features that are designed to facilitate deploying SQL Server databases along with web projects. For more information, see Configuring Database Deployment in Visual Studio in ASP.NET Web Site Project Deployment Overview. The Visual Studio web project templates use SQL Server for the ASP.NET membership database by default. Nearly all ASP.NET documentation on the MSDN web site, ASP.NET web sites, and in blog posts uses SQL Server. Relatively little documentation that would help you get started and resolve difficulties is available for other databases. NoSQL databases are alternatives to relational databases. NoSQL databases can provide advantages over relational databases for applications that manage large volumes of unstructured data. The Windows Azure Table storage service is an example of a NoSQL database management system. Providing guidance on choosing a NoSQL database is outside of the scope of this document. SQL Server Express. The entry-level, free edition of SQL Server. For more information about SQL Server Express, see Working with SQL Server Express Databases. In Visual Studio 2010 and earlier versions, SQL Server Express is installed by default with Visual Studio; in Visual Studio 2012 LocalDB is installed by default with Visual Studio. LocalDB is recommended for web development but not for production web applications because it is not designed to work with IIS. For more information about LocalDB, see Working with SQL Server Express LocalDB Databases. SQL Server Developer Edition. Has all the features of Enterprise edition but is licensed only for development and testing, not for production. Several full editions are available: Enterprise, Business Intelligence, Standard, and Web. Windows Azure SQL Database. The cloud edition of SQL Server, formerly known as SQL Azure. SQL Server Compact 4.0. A free, lightweight database engine that you can use in ASP.NET web applications for both development and production. SQL Server Compact uses a different database engine and .NET data provider than the other editions. SQL Server Management Studio (SSMS) and SQL Server Data Tools (SSDT) don’t work with SQL Server Compact 4.0. For more information, see Differences Between SQL Server Compact and SQL Server and Using SQL Server Compact for ASP.NET Web Applications. If you're using Visual Studio 2012, and your production database is SQL Database or a full edition of SQL Server, the default choice for development is LocalDB. This is the default choice because LocalDB is installed with Visual Studio 2012 by default. If you're using Visual Studio 2010 or WebMatrix, and your production database is SQL Database or a full edition of SQL Server, the default choice for development is SQL Server Express. This is the default choice because SQL Server Express 2008 is installed with Visual Studio 2010 by default, and LocalDB doesn't work with WebMatrix. If your production database is SQL Server Compact, use SQL Server Compact for development. If you want to use IIS as your development web server in Visual Studio 2012, use SQL Server Express instead of LocalDB. You will have to install SQL Server Express, because it is not installed with Visual Studio 2012 by default. For information about why you might want to use IIS in development, and how to configure Visual Studio to use it, see Test your ASP.NET MVC or Web Forms Application on IIS 7 in 30 seconds on Rick Anderson's blog. If there are features of the edition you use in production that aren't available in LocalDB or SQL Server Express, use Developer Edition or the same edition that you use in production. If you want to enable multiple developers to work on the same Visual Studio web project, with some of them using Visual Studio 2010 and some of them using Visual Studio 2012, see How can Visual Studio 2010 and Visual Studio 2012 share a project that uses a database? in ASP.NET Data Access FAQ. For help with configuring a connection string for the version of SQL Server that you choose, see SQL Server Connection Strings for ASP.NET Web Applications. When you use a different database for development than the one you use for production, you have to deploy the database when you deploy (publish) the web application. Deploying a database includes creating the production database, creating tables and other objects in the production database, and copying initial data to the database. Visual Studio includes web deployment features that facilitate deploying databases along with web projects. For more information, see Configuring Database Deployment in Visual Studio in Web Deployment Overview for Visual Studio and ASP.NET, and the Deploying a database scenarios in Web Deployment Content Map for Visual Studio and ASP.NET. To read or update data, you can use ADO.NET directly by using classes such as SqlCommand, SqlDataReader, SqlDataAdapter, and DataSet. The recommended alternative is to let an object-relational mapper (ORM) framework such as the Entity Framework handle the low-level code that interfaces with an ADO.NET data provider. If you use ADO.NET directly, you have to manually write and execute SQL queries. You also have to write code that converts data from the database's format into objects, properties, and collections that you can work with in code. Notice that not only does much more code have to be written and tested and debugged when you don't use an ORM, but also the code you write is database-specific. The Entity Framework code would not change if you decided to migrate the application from SQL Server to Windows Azure SQL Database. This is a simplified example; in a real-world example with more tables, more columns, and more complex relationships, the differences would be much greater. As you can see, an ORM can make you more productive, and your application easier to maintain. For these reasons, in most scenarios you would want to use an ORM in an ASP.NET application that uses a relational database. The ADO.NET Entity Framework is the main ORM that Microsoft provides for the .NET Framework. NHibernate is an open source ORM for the .NET Framework. Other data access frameworks that provide some of the benefits of an ORM but with less abstraction and potentially better performance include micro ORMs such as Dapper and Massive, and the Enterprise Library Data Access Application Block. Microsoft supports and continues to enhance the Entity Framework. Starting with version 6.0, the Entity Framework is open source and is also being enhanced by an open source community. LINQ to SQL is supported but Microsoft is investing minimal efforts to enhance it. (See "Where does Microsoft stand on LINQ to SQL?" in Data Developer Center - Top Questions and Answers on Data.) LINQ to SQL has a much more limited feature set to begin with, and choosing LINQ to SQL would limit your ability to take advantage of future advances in data access technology. NHibernate is not supported by Microsoft. The Entity Framework is the easiest ORM framework to learn for an ASP.NET developer. Because Microsoft continues to focus ORM development efforts on the Entity Framework, Microsoft and third parties continue to produce new tutorials, videos, and books. Most new tutorials use the Entity Framework even if they are focused on some other technology, such as the latest release of MVC or new model binding features for Web Forms in ASP.NET 4.5. LINQ to SQL is sometimes said to be easier to learn because it has a simpler feature set, but you can get started with the Entity Framework by using only the features you need. You can take advantage of its more advanced features later when you are ready for them. The learning curve for nHibernate is relatively steep. The community of Entity Framework users is larger than the LINQ to SQL and nHibernate communities. When you run into a problem that you need help with, you're more likely to get the answer you need when you post it to sites like stackoverflow.com or the ASP.NET data access forum if you're using Entity Framework than if you're using one of the other ORMs. The Entity Framework offers the most productivity gains because it is integrated with the .NET Framework and Visual Studio web development tools. Although this is also true to some degree of LINQ to SQL, some features have been developed exclusively for the Entity Framework. For example, Visual Studio automates deployment for Entity Framework Code First databases; see Web Deployment Overview for Visual Studio and ASP.NET. Integrated development tooling for NHibernate is relatively limited. The Entity Framework gives you a choice of databases or data services that you can use. Microsoft provides support for using SQL Server, SQL Server Compact, and WCF Data Services with the Entity Framework. Third-party vendors provide support for other databases, such as Oracle, MySQL, and SQLite. LINQ to SQL is limited to SQL Server. NHibernate can also be used with multiple database engines, but support is potentially more problematic. Write and execute your own SQL statements or stored procedures for scenarios that are not handled efficiently by the Entity Framework. For example, suppose you want to change a date field by setting it to the current date in a table that has millions of rows. Using the Entity Framework to do that one row at a time would be very inefficient, but you could do it quickly by running a SQL update query. Change the way you configure or use the Entity Framework in problematic scenarios. For example, the Entity Framework determines how an entity has changed (and therefore which updates need to be sent to the database) by comparing the current values of an entity with the original values. If you're tracking a large number of entities and you trigger automatic change tracking many times in a loop, the performance cost might be significant. In these scenarios you can improve performance by disabling change tracking until the loop is completed. For more information about executing custom SQL statements while using the Entity Framework or configuring the Entity Framework to handle special situations, see Advanced Entity Framework Scenarios for an MVC Web Application on the ASP.NET site. For more information about the Entity Framework, see ASP.NET Data Access Content Map. As shown in the following diagram and in this video clip, there are three ways you can work with data models and databases in the Entity Framework: Database First, Model First, and Code First. If you already have a database, the Entity Framework designer built into Visual Studio can automatically generate a data model that consists of classes and properties that correspond to existing database objects such as tables and columns. The information about your database structure (store schema), your data model (conceptual model), and the mapping between them is stored in XML in an .edmx file. The Entity Framework designer provides a graphical UI that you can use to display and edit the .edmx file. If you don't have a database yet, you can begin by creating a model in an .edmx file by using the Entity Framework graphical designer in Visual Studio. When the model is finished, the Entity Framework designer can generate DDL (data definition language) statements to create the database. 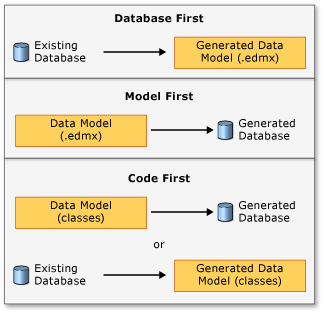 As in Database First, the .edmx file stores model and mapping information. Whether you have an existing database or not, you can use the Entity Framework without using the designer or an .edmx file. 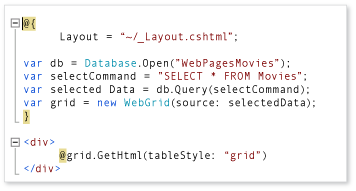 If you don't have a database, you can code your own classes and properties that correspond to tables and columns. If you do have a database, Entity Framework tools can generate the classes and properties that correspond to existing tables and columns. The mapping between the store schema and the conceptual model represented by your code is handled by convention and by a special mapping API. If you let Code First create the database, you can use Code First Migrations to automate the process of deploying the database to production. Migrations can also automate the deployment of database schema changes to production when your data model changes. Choose Code First for new development unless you want to use a graphical designer to model database objects and relationships. The Entity Framework designer only works with Database First and Model First. Before you choose Database First or Model First, however, consider how you want to handle updates to the data model after you create the database, and how you want to deploy the database and deploy updates to it. Code First Migrations automates the process of implementing and deploying database schema changes that result from data model changes. The advantages of Code First Migrations might outweigh the advantages of the Entity Framework designer. For more information, see ASP.NET Data Access Content Map. LINQ is a feature of the C# and Visual Basic languages that lets you query data by writing code. You can write LINQ expressions in two ways: as queries and as fluent API. The choice between queries and fluent API depends on which syntax you're more comfortable with or want to learn, and you can mix and match based on the needs of each scenario. If you decide to use fluent API, you must learn or be familiar with lambda expressions. Query any in-memory collection that implements the IEnumerable interface. Query DataTable and DataRow objects in a DataSet object. Query a LINQ to SQL data model. For information about LINQ to SQL, see Object-Relational Mappers (ORM) earlier in this topic. Query an Entity Framework data model. For an introduction to LINQ, see LINQ (Language-Integrated Query). There is also a version of LINQ that is designed to facilitate constructing queries at run time out of information that is not known until run time. 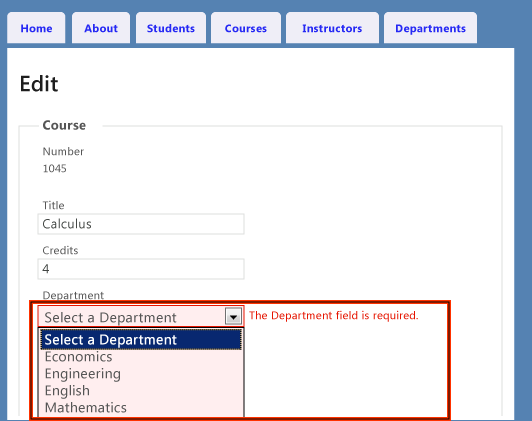 For example, you might want to specify a different OrderBy clause depending on which column a user clicks in a grid. 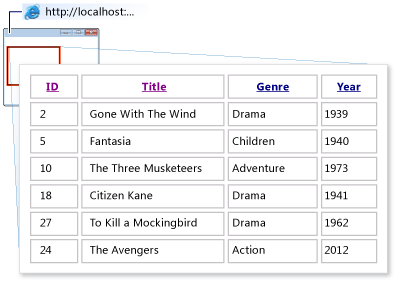 In these scenarios you can use dynamic LINQ. For more information, see Dynamic LINQ (Part 1: Using the LINQ Dynamic Query Library) on ScottGu's blog. LINQ provides compile-time validation of query syntax. With SQL you don't find out about syntax errors until run time. LINQ provides IntelliSense, which makes the process of writing queries quicker, easier, and less error-prone. Using LINQ automatically protects you from SQL injection attacks. If you're using SQL statements, you have to make a conscious effort to protect them from SQL injection attacks. When you want to perform an operation more efficiently than would be possible by using the Entity Framework. For example, a single SQL UPDATE statement that affects many rows is more efficient than retrieving the rows with a LINQ statement, updating the entities in code, and then saving the changes. When you want to use an advanced SQL command such as the MERGE command. When you want to construct queries at run time, and dynamic LINQ does not have the degree of flexibility that you need. There are two ways to execute SQL statements in the Entity Framework: Entity SQL and SQL that is native to the underlying database. Entity SQL is an older feature that is no longer the recommended method of executing SQL in the Entity Framework except for a few scenarios that require it. (One example is the EntityDataSource control, which uses Entity SQL.) To execute SQL in the Entity Framework, use the DbSet.SqlQuery Method, the Database.SqlQuery Method, or the Database.ExecuteSqlCommand Method. For more information, see Advanced Entity Framework Scenarios for an MVC Web Application on the ASP.NET site. With WCF Data Services, you have to explicitly configure security restrictions: by default everything is made available and you write code to place restrictions on whatever you do not want to be available. With Web API, by default nothing is made available, and you write code to explicitly make available only the data that you want to be available. Choose WCF Data Services if you want to quickly expose a database over HTTP for use inside a firewall on an internal company network. In this scenario the consequences of accidentally making sensitive data available over the web service are less than if you were making the service available over the Internet. Conversely, choose Web API for Internet-based services because the whitelist approach is more secure than the blacklist approach. Web API is the preferred technology for flexible service development with REST approaches, OData, or JSON requirements. For information about data access options in ASP.NET Web forms, see ASP.NET Web Forms Data Access Options. ASP.NET Web Pages and ASP.NET MVC Razor views share the same syntax and much of the same API, so many of the data helpers are the same or similar. When you use the Database helper you're using ADO.NET directly, without an Object-Relational Mapper. (For information about ORMs, see Object-Relational Mappers (ORM) earlier in this topic.) The ASP.NET Web Pages framework is designed to provide an easy way for people who are new to web programming to get started and build applications that have relatively simple data access requirements. In these scenarios, using ADO.NET directly is a good choice because your data handling needs are not complex enough for the ORM's advantages to outweigh its learning curve. If you're a more experienced developer and are building a relatively complex application with complex data access requirements, consider using the Entity Framework. If you do that, use Visual Studio instead of WebMatrix as your development environment. WebMatrix does not include some of the tools that are essential for working with the Entity Framework, such as the Entity Framework designer and the NuGet Package Manager Console. For Visual Studio 2012, and SQL Server or SQL Database in production: use LocalDB in development. For Visual Studio 2010 or WebMatrix, and SQL Server or SQL Database in production: use SQL Server Express in development. For SQL Server Compact in production: use SQL Server Compact in development.